World Class Charter Boat Fishing! The Florida Keys offers some of the best sight sport fishing opportunities there is. The bath tub clear waters surrounding Key West has given up more saltwater world records than any place on the globe. Sight fishing on the backcountry flats may be the most exiting and sporting form of angling there is. The waters surrounding Key West are almost perfect for this popular style of fishing. We can guarantee that after just one hookup with a giant tarpon you may soon find that you're hooked on flats fishing for life. 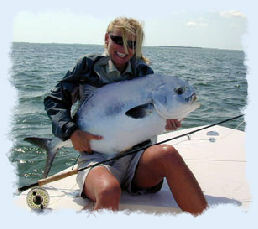 There are a fair number of quality Key West Fishing guides to choose from. We have assembled a listing of the best Key West charter boats to help assist you in finding the right skipper for your trip of a lifetime. Endless Summer Charters - Key West's Premier Back Country Fishing Guide Service. Captain Grif Helwig has earned a reputation as one of the premier Key West light tackle and back country fishing guides. Grif has been guiding in the waters around Key West and the lower Keys for 18 plus years. We highly recommend Grif for his dedication and relentless goal of providing first class service to all his guests. There is no finer example of the Captain's dedication to the sport than what Grif does on his days off from guiding. He goes fishing for fun of course! That should tell you everything you need to know. He is our first choice whenever we personally hire a guide. Captain Chris has almost forty years of experience in and around the waters of the Key West region. If you're talking Key West Flats fishing then captain Chris Robinson is a solid choice. Captain Chris's fishing charters specialize in flats fishing in the crystal clear waters or the lower Keys. His back country charters will be geared towards catching tarpon, permit and the elusive bone fish. Kahuna Charter is located a fair distance from our Key West vacation rental condo, it's 21 miles N.E. of Key West at Cudjoe Gardens Marina. Chris will also trailer his boat and travel to where the hot bite is on a moments notice. This skipper has in depth knowledge of the area will not only help keep you on the action but he will also point out many of the abundant marine creatures that you might encounter. Double Haul Charters - Join Capt. Bob for World Class Bone Fishing! Captain Bob Beighley specializes in sight fishing in the crystal clear backcountry areas of the lower Florida Keys. Capt. 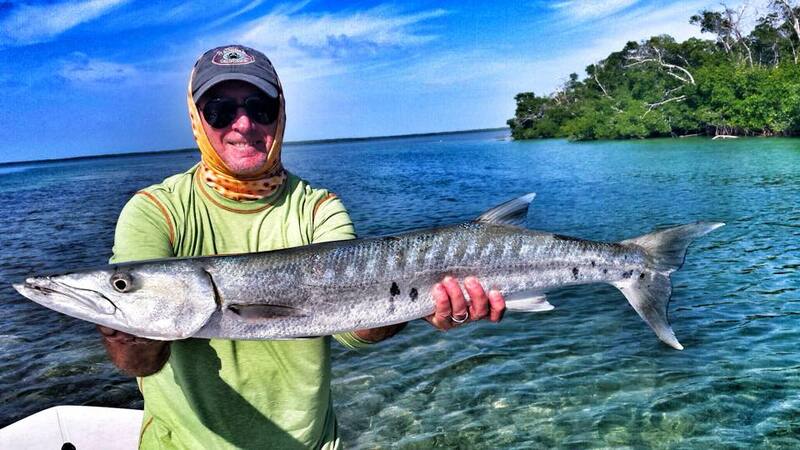 Bob depending on the season will focus on tarpon, permit, bones, reds, shark and barracuda. Light tackle and fly rods are the preferred techniques you will use when you accompany Capt. Bob in the shallow flats around the Keys. Captain Beighley has earned a good reputation and he will work hard to insure your day is a success. Bob has spent his entire life on the water and he has a lot of pride in his ability to put you where the action is. Delph Charters is a full service charter service that features a wide range of world class sportfish possibilities. They offer reef, wreck, deep drop, flats, kite, Fly, bluewater, and live bait methods. They pursue all of the most popular game species to be found in the area surrounding the Keys. The Delph family has been featured in countless films and television videos dating back to founder Ralph Delph 40 years ago. They have a reputation that has been unmatched for decades. They will customize your charters to fit your schedule and preferences. They are experienced in guiding for seasoned experts and as well as beginners alike. They will guide for just one person and will take groups of up to six people. Even though they might specialize in fly rods the majority of their angling is done with light tackle spinning rods with artificials or live bait. Experience is critical when it comes to guiding on the flats and Dream Catchers guarantees you will not be disappointed. 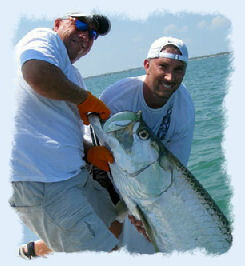 They are at the top of their profession when it comes to fly fishing the waters around Key West. Their guides are highly seasoned veterans and they can offer even seasoned fly fisherman many tips on how to hone their craft. Key West is considered the center of the angling universe and their guides are the best in the business. 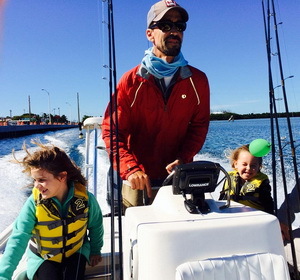 Experience some of the best back country or light tackle sportfish opportunities in Key West with Captain Johnny Irwin, a third generation guide from the Florida Keys. Capt. Johnny offers private charter trips that can be customized to meet any angler's wishes. Maybe it's a relaxed trip with the family or possibly an expedition for a record-breaking sailfish, their charters are sure to suit your needs. 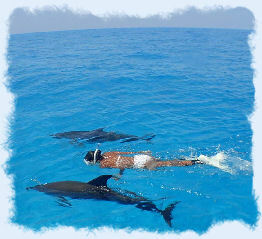 John is as experienced as they come, he has been guiding in the waters surrounding Key West for almost a half century. Captain John's charter boat is a customized 22 ft. Sea Chaser and it's located in the Hurricane Hole Marina. Whether you're a novice or seasoned angler you will both certainly appreciate a day spent with captain John Smouse. Capt. John is all about putting on the action and enjoying the back country of the Florida Keys. Join skipper John for an exciting day of stalking bonefish, acrobatic Tarpon, battling Barracudas or other species the back country has to offer! Captain John's boat is located just a short distance from our vacation rental property. They guide in a wide range of area from Big Pine Key to the Marquesas. They pursue their catch by first sighting their quarry in the shallow back water areas and they cater to both experts or beginners. If you want world class sporting action then you've come to the right place with the right guide. Captain Bo Sellers will customize his charters to accommodate your needs. You can choose between a half, 3/4, or full day charter. Your license, bait and all equipment necessary will be provided. Take our Key West Condo Rentals by owner Virtual Tour.